Robyn obtained her Bachelor of Science degree in Kinesiology from the University of Victoria in 2001 and her Master’s Degree in Physical Therapy at the University of Toronto in 2005. Upon returning to her home province of BC, Robyn opened a multidisciplinary healthcare clinic in North Vancouver. She was the recipient of the Young Entrepreneur of the Year Award by the North Vancouver Chamber of Commerce in 2008 and the Western Canada Winner Award at the RBC Canadian Women Entrepreneur Awards in 2010. Robyn was drawn to the field of physiotherapy through her own personal experiences with injuries during her young career as a competitive soccer player. She learned the immense value of proper rehabilitation and takes great pride in helping others through this challenging process. She has worked with various teams including the Canadian Development Rugby Team, University of Toronto Varsity Men’s Soccer Team, Meraloma Rugby Club, North Shore Twins and Junior Golf Team at Seymour Golf and Country Club. 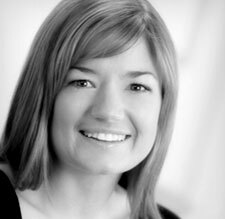 Her passion for injury prevention has led her to develop numerous innovative programs which have been used across various sports including running, cycling, volleyball, soccer and baseball. Her clinical interests include gait and running analysis, shoulder and scapular movement retraining and general orthopaedic and neurological injury rehabilitation. 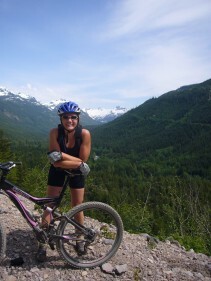 Outside of work, Robyn takes advantage of the local mountains in the North Shore as a competitive mountain bike and multi-sport adventure racer. She enjoys being active with husband, two kids, Keio and Skye, and her dog, Georgie.